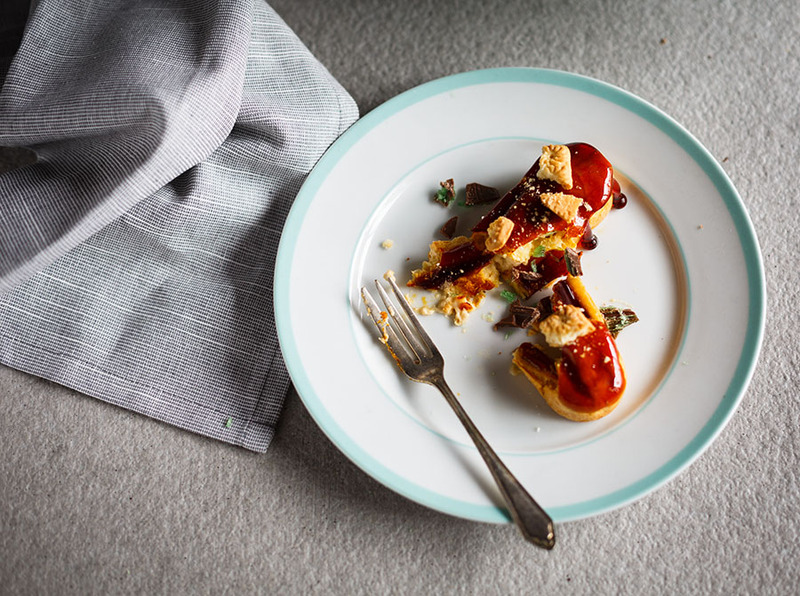 Eclairs, meet peppermint crisp tart. I think you’ll get along quite nicely! In fact, I know you will because I tasted you (over and over again – just to be sure!) and you were delicious! 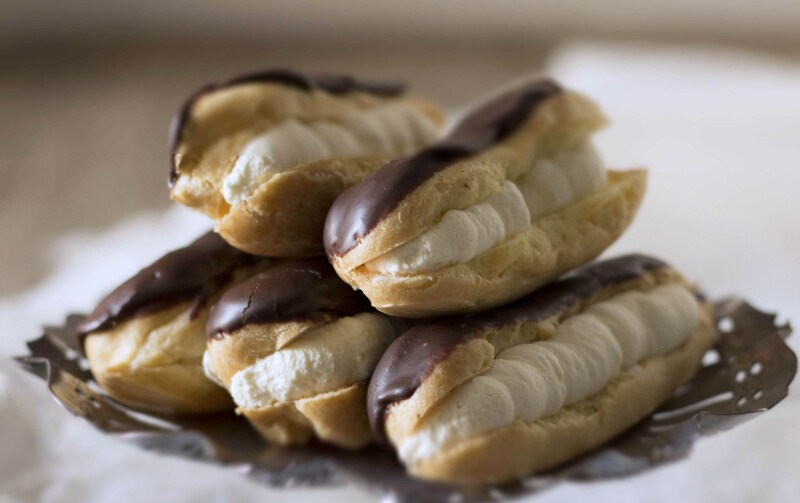 I’ve worked really hard to perfect my eclair recipe over the years and I’ve discovered the secret to getting that even shape that lines pastry shop windows is to rest the piped pastries before baking them – it makes so much sense! 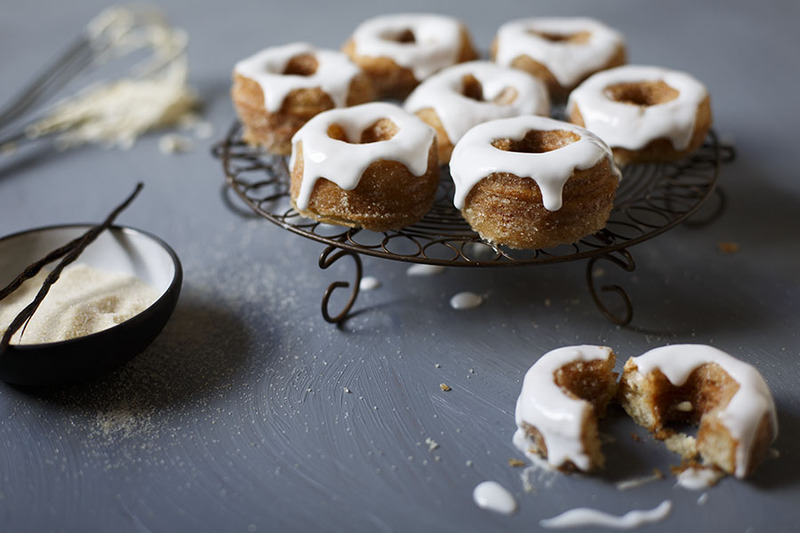 All that gluten you’ve worked up causes them to go wonky if you bake them straight away – just genius. I wish I remember where I’d read that handy little tip so I could thank the person. 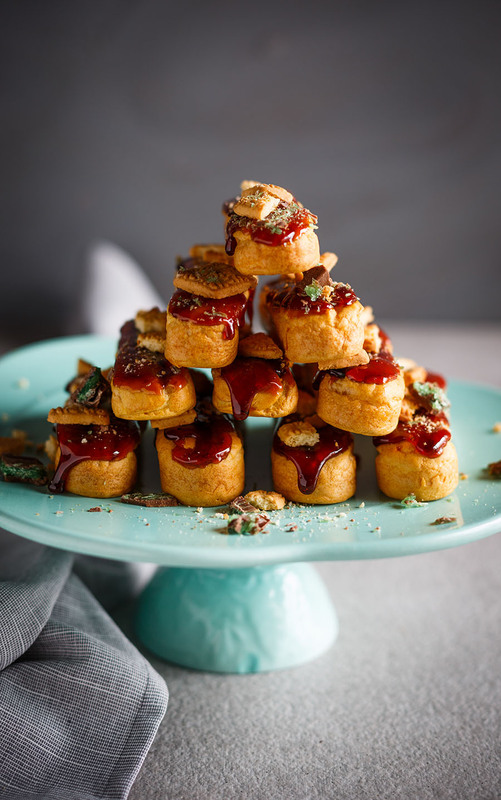 The crunchy caramel top is a must – it gives the illusion that the eclairs are coated in peppermint crisp caramel and gives a lovely crack when you bite into them. Just heavenly! And if you’re really feeling creative, make your own tinned caramel – even if it’s just to eat it out the tin! To make the eclairs, sift the flour and salt together. Heat the butter and water until just melted then bring to a rolling boil. Immediately remove from the heat and add all the flour at once. Mix until a smooth dough forms, place back on the heat and cook for about 1 minute or until the pastry pulls away from the sides of the pot. Allow to cool completely. Beat the eggs into the pastry a little at a time until smooth, shiny and of a piping consistency. 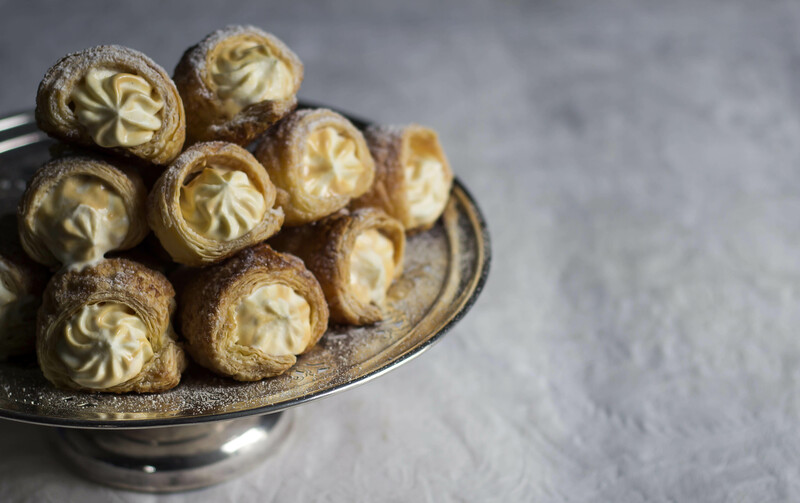 Place the pastry in a piping bag fitted with a large fluted nozzle. Pipe long tubes of dough about 10 cm long onto a lined baking tray. 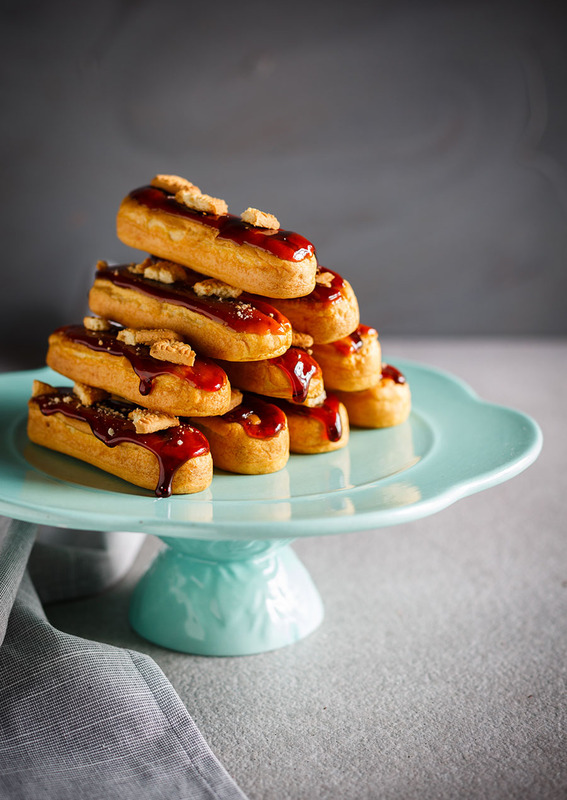 Allow the eclairs to stand for 1 hour, for the gluten to relax. Bake at 200 degrees celsius (180 degrees fan-forced) for about 15 – 20 minutes or until puffed up and golden. Turn off oven, remove the puffs, pierce each with a skewer to allow steam to escape and immediately return to the oven to dry out for 15 minutes. 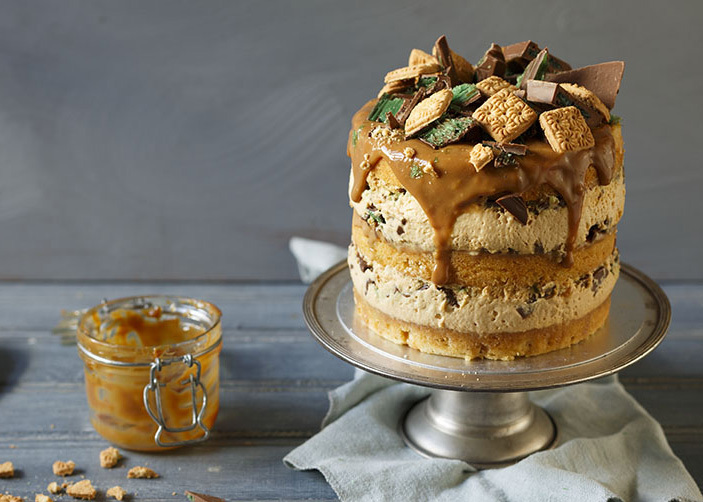 Make the filling by placing the tinned caramel in a bowl and whisk until smooth. Beat the cream until stiff peaks then fold into the caramel. Bloom the gelatin leaves by soaking them in cold water until completely soft. 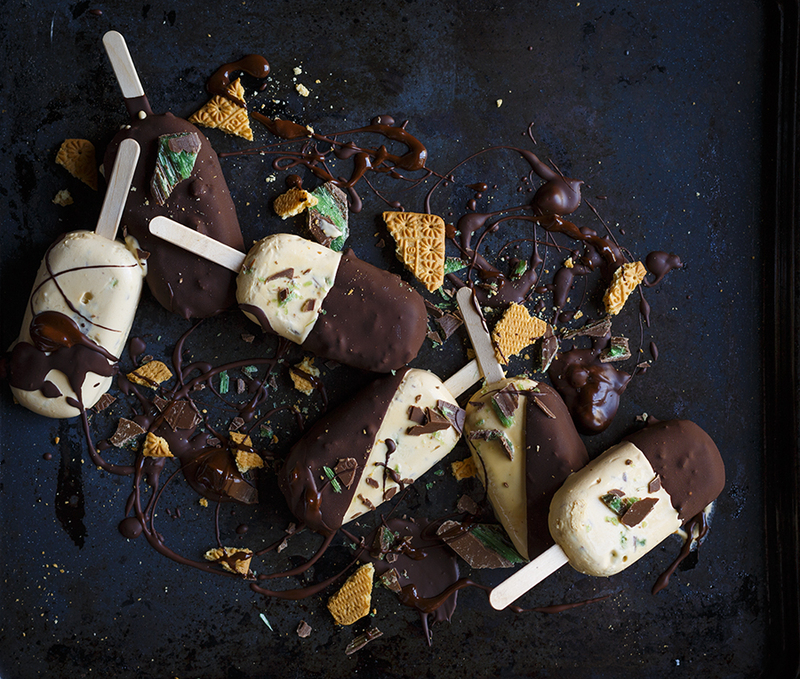 Squeeze out the water, place in a small bowl and microwave for 30 seconds until just melted. Whisk into the caramel filling mix along with ¾ of the peppermint crisp and place in a piping bag fitted with a large plain tip. To assemble, make three small holes in the bottom of each éclair using a plain tip piping nozzle then pipe the filling into each hole. To make the topping, place the white sugar in a saucepan over medium heat with 1 tbsp water and bring to the boil. Allow to caramelize until golden brown then remove from the heat and allow to cool slightly. 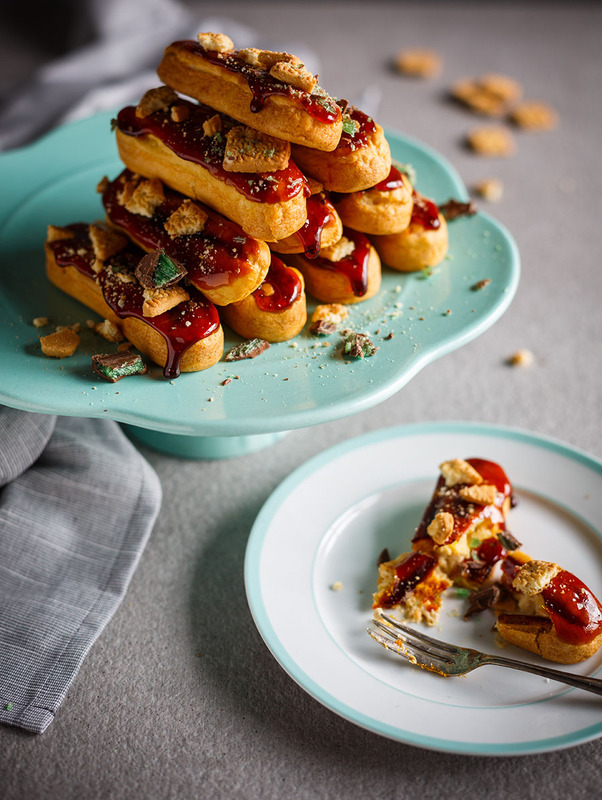 Dip the tops of the eclairs in the caramel then immediately crumble over the tennis biscuits and remaining peppermint crisp. Repeat with the remaining eclairs. Serve on the same day.